Roane County Family Health Care is pleased to announce George Jason Clevenger; Physician Assistant has joined our medical staff. Jason was born in Lorain, Ohio and was raised in Cottageville and graduated from Ripley High School in 1991. Jason enlisted in the US Army Reserve in October of 1991 and was stationed at the Ripley Armory after basic training and Advanced Individual Training as a combat medic. He entered active duty in February 1993 and was stationed at Ft Bragg, NC. Jason was accepted into the Interservice Physician Assistant Program and graduated in May 2000 from the University of Nebraska, and was commissioned as a US Army Officer. He was deployed to Kosovo in 2001 with the 3rd Infantry Division, Iraq in 2003 with the 82nd Airborne Division and back to Iraq from 2007-2008 with 101st Airborne Division. Jason also assisted in the earthquake relief in Haiti in 2010. 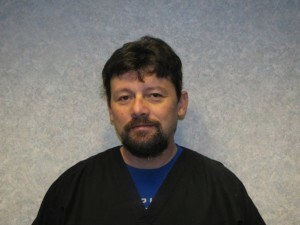 He completed his orthopedic residency in 2005 and worked at Jackson General Hospital Orthopedics. If you are sick and cannot be seen by your regular Provider, you can be seen by Jason Clevenger, PA-C that same day. He is experienced in a full spectrum of acute care from pediatrics to geriatrics. Jason is taking care of patient’s that need to be seen same day and cannot wait to make a regular appointment, every Monday thru Thursday from 8am to 6:30pm. Friday patients are seen by one of our regular providers from 8am to 4:30pm.